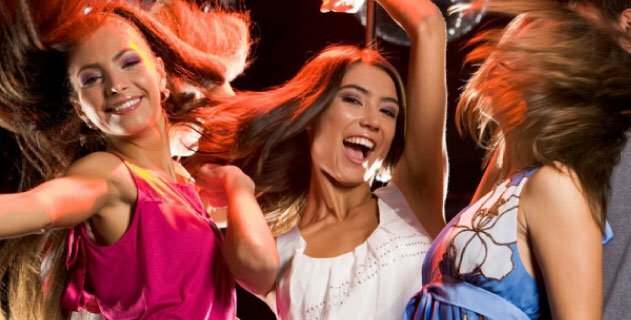 When you want the best party bus limo service in Los Angeles, party bus rentals Los Angeles and party bus rental San Bernadino, Stars-R-Us Limousines will drive you and your crew in ultimate luxury and style. Stars R Us is a family owned and operated local company dedicated to providing professional and on time service to make your event special and memorable. The best party is where you have the most fun in high style. 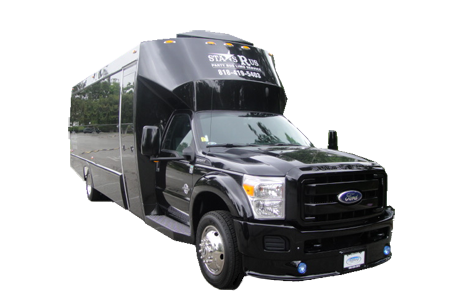 Stars R Us party bus limos are custom crafted by Tiffany Coachworks, the premier luxury limousine coach builders. Nothing says high life like top grain leather seats, a bar and a killer sound system. You can get all this at the best rate in town because we will meet or beat any party bus limo quote. It is a long established fact that good memories will last long after the ride. Stars R Us party bus limos will help you make those memories where you are the Star! "One of the best party buses we have ever rented for our prom, it was new, big enough for 30 people and the driver was very friendly and took care of us from point A to B. Thank you so much for an awesome service!" 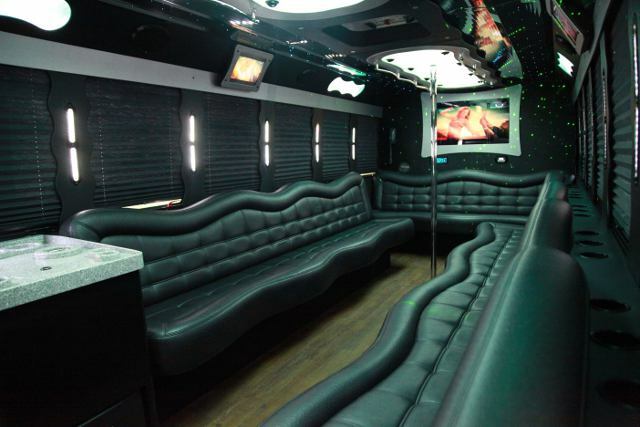 If you're wondering "how do I get the best price for party bus rental", then call the Party Bus pros at 818-462-5907. Stars R Us party bus limo knows what it takes to keep your party rolling safely and confidently for any occasion. Book your Party Bus now the easy Stars R Us way.